The Index started moving upwards, just as we expected. We may assume that right now the price is forming an ascending impulse inside wave (5) of . Later the instrument is expected to continue growing up. The price may break the maximum during the day. 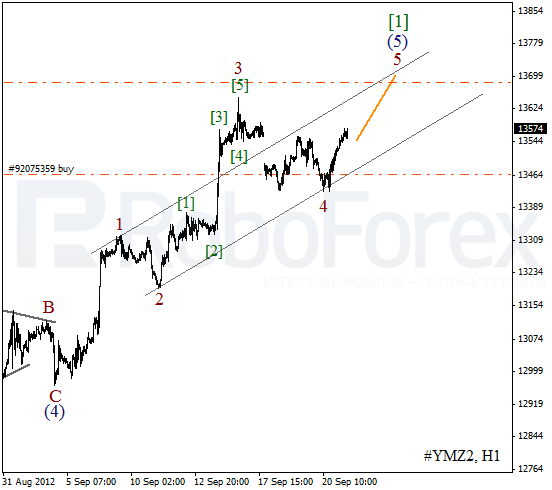 Yesterday, after rebounding from the ascending channel’s lower border, the price started forming wave 5. The current chart structure implies that the Index may continue moving upwards. 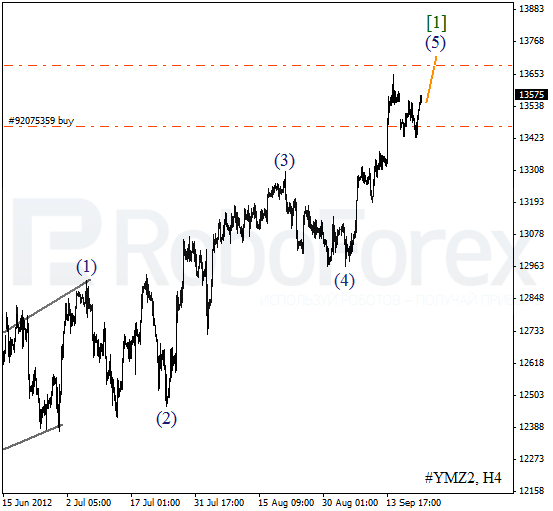 The target is still at the level of 13700. After completing an impulse inside wave 1, the market started forming zigzag pattern inside the second one. On the minor wave level Oil is forming wave [B]. In the near term, we can expect the instrument to continue corrective movement. More detailed wave structure is shown on the H1 chart. 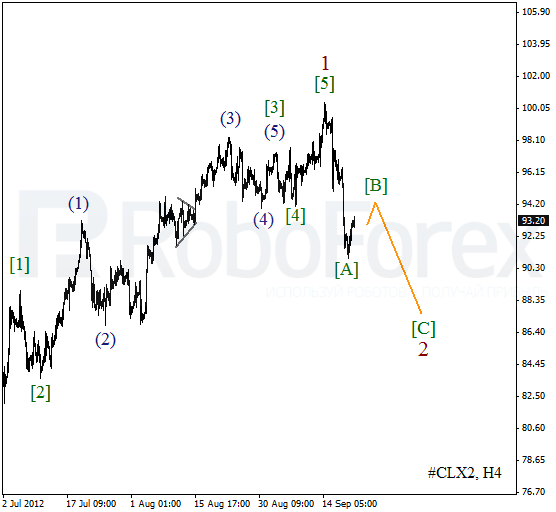 We may assume that Oil has formed an extension inside wave (5) of [A]. 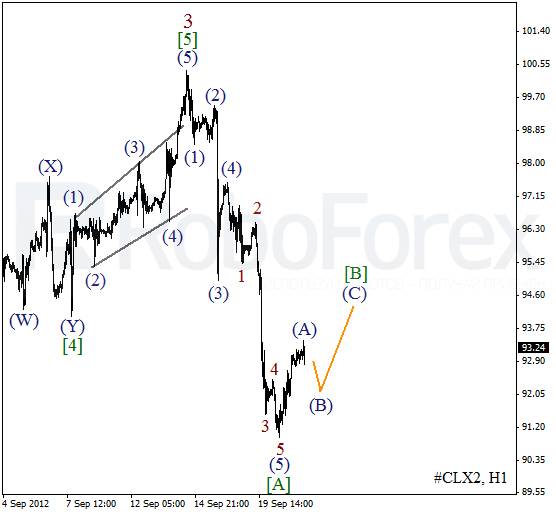 At the moment the price is forming zigzag pattern in wave [B] with wave (B) inside it. In the future, we can expect a local growth in wave (C) of [B].